Well just when you think you are organised, website started (check) craftroom rearranged (check) …. your creative brain slings you a curve ball. I do love fibres, and I recently acquired a 1950s weaving loom, mmm that might be useful for creating backdrops for needlefelting, I thought and then proceeded to restore the loom back to working order. 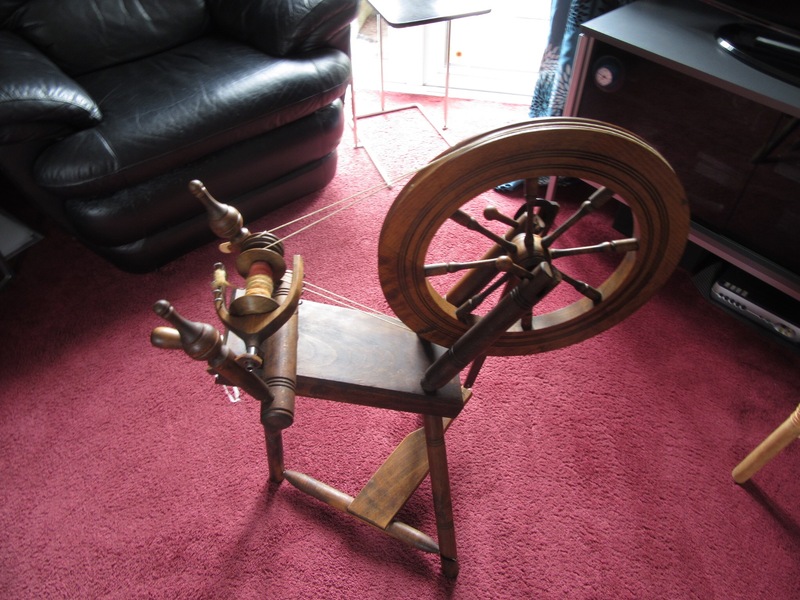 Target one achieved, now to spin a little yarn to weave with… I did have a drop spindle, which I must admit was more drop than spin, but after a little work shop at a fibre show I bought myself a dizzy sheep spinner, brilliant little Mayan type spinner. Although I was far more successful with this little device the realisation that it was probably going to take me months just to get sufficient yarn to work a couple of inches on my loom. I kept my eye on the second hand market, although I was beginning to realise that the prices were still out of my range, and plus I could end up buying a very expensive ornament …. Then behold I see a picture of a lovely little wheel I check out the price, yes it is within the budget… in fact it was definitely on the low side. I buy it… then have night mares that I’ve just made a big mistake. 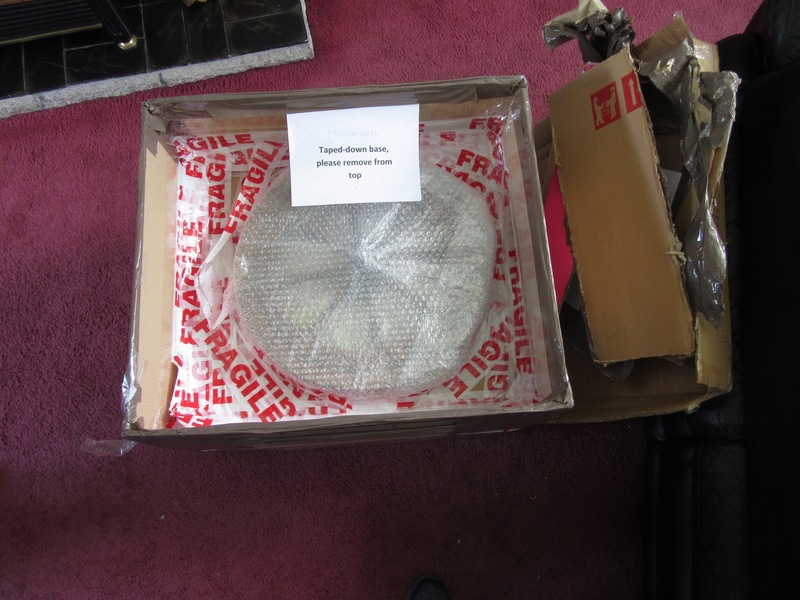 A huge box 📦… covered in packaging tape…. 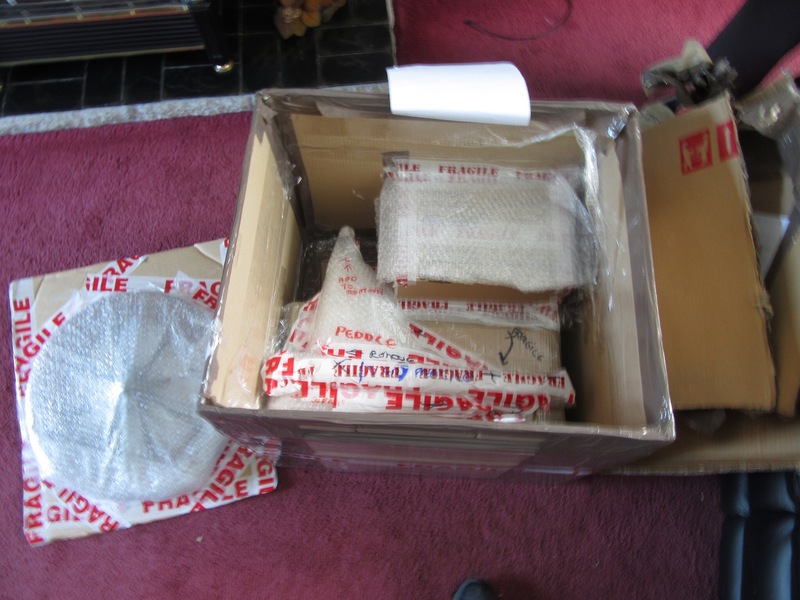 outside and inside… it was a work Of art every piece was carefully wrapped and secured to each other and the box.. it must have taken me the best part of an hour to unpack. I felt like a kid at Christmas. Hubby remarked “that could have been thrown out of a plane and it would have arrived intact”. There was definitely a great deal of care taken to make sure it would be safe.